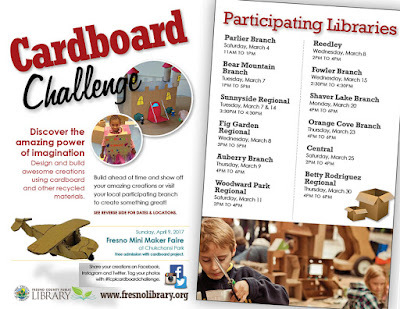 The Cardboard Challenge is here again, which means it's time to take your imagination out for a spin and get building! What can you make out of cardboard? Well, it seems you can build just about anything out of the stuff--at least, that's what Caine would tell you! Since you probably won't need to use any dangerous tools to make your project, and the Library is providing supplies, your only real limitations are your own creativity and persistence. 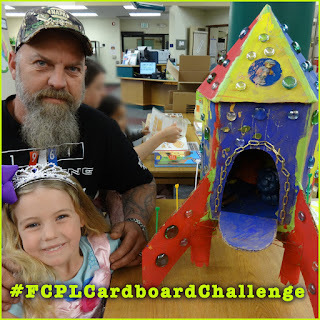 By the way, don't forget to show us your Cardboard Challenge projects! Have your parents or a guardian snap a picture of your creation and share it with us on social media, using the hashtag #FCPLCardboardChallenge. 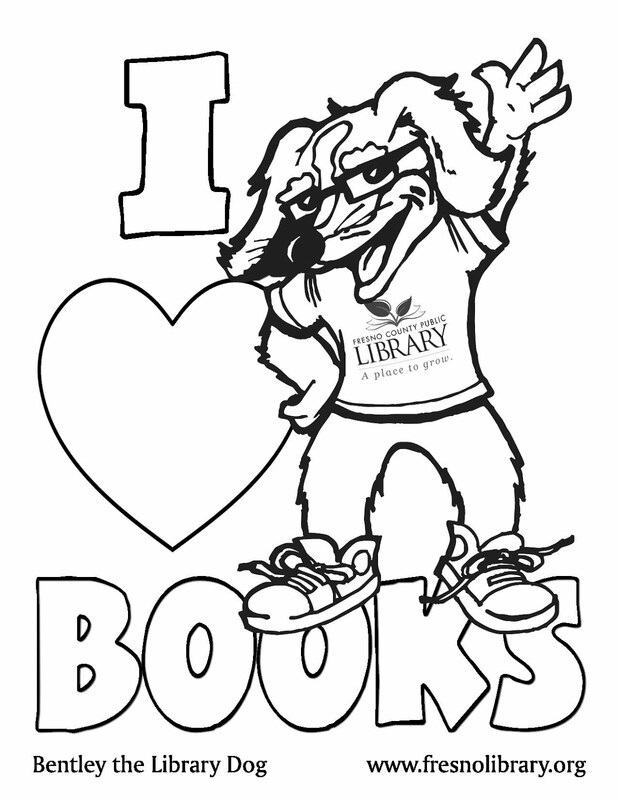 We're on Facebook (@fresnolibrary), Twitter (@fcpl), and Instagram (@fresnolibrary), and we'd love to see your creations and be able to show the world how smart and inventive our youngest Library users are. The Cardboard Challenge starts tomorrow (3/7), with building events at the Bear Mountain (1-5 pm) and Sunnyside (3:30-4:30 pm) branches.